Canon has announced a new, portable, Wi-Fi-enabled printer, the Selphy CP1300. An update over the CP1200, it includes many new features based on customer feedback that should make it both more functional and more fun. While people take far more photos than they print, there has been a resurgence in recent years in the popularity of instant photography (even Leica has gotten in on the trend), and printers like those in the Selphy series are looking to bridge the gap between smartphones and instant camera. The $130 printer retains the same design as its predecessor, but the touchscreen has grown to 3.2 inches. The user interface has been redesigned to more clearly illustrate the different functions of the printer, allowing users to easily select the feature they want without any guesswork. Connectivity has also been improved. A new Party Shuffle Print mode allows multiple devices to be connected to the printer via Wi-Fi simultaneously, and the printer can create a multi-photo layout using images selected from each device. This could be used to create personalized keepsakes for guests that include multiple perspectives of the event. 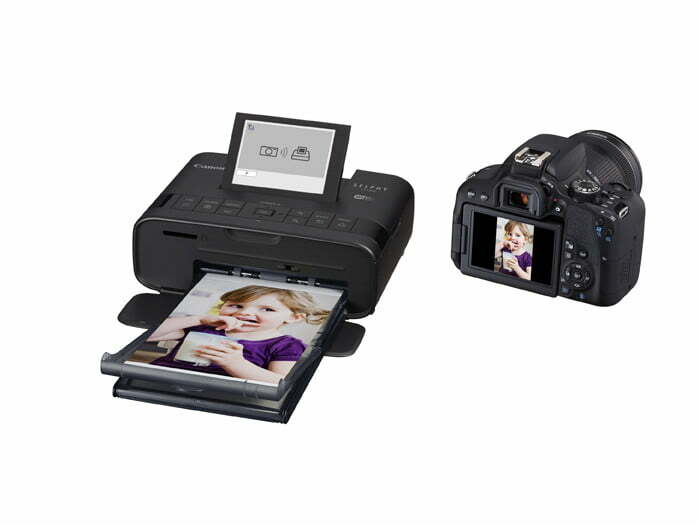 The printer can connect wirelessly to compatible iOS and Android devices and select Canon cameras. It also has an SD memory card slot to make prints from other cameras. 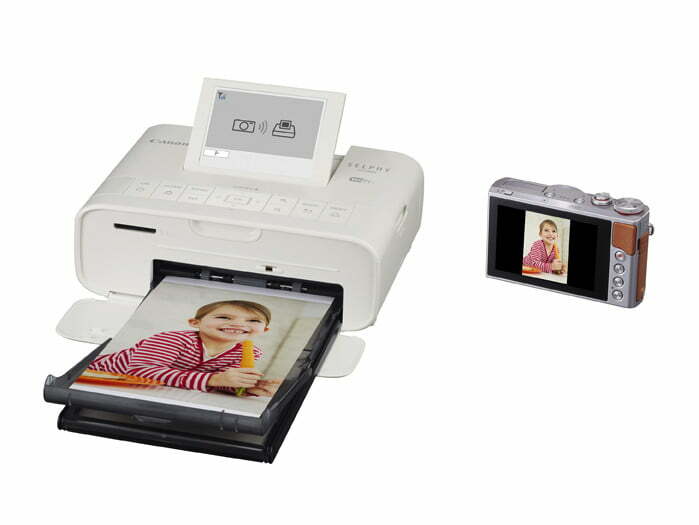 For photo booth fans, the Selphy CP1300 now includes a layout option to print 2 x 6-inch photo strips. Images can be printed with or without borders and users can select different border colors for both single-image prints and multi-print layouts. Canon has a variety of media available for other sizes, including 2-inch square labels, standard 4 x 6-inch photo paper, and 3.9 x 5.8-inch postcards. Unlike traditional inkjet printers (see some of our favorites), Canon sells ink and paper in combined packs for its Selfy printers, so you always have the right amount of ink. As expected, the CP1300 maintains the portability options the Selphy series is known for, with an optional direct battery attachment so users can set it up anywhere without the need for external power. While Canon didn’t immediately state battery life for the printer, the older CP1200 managed up to 54 prints on one battery, although that model used a smaller LCD screen. Canon has not announced a release date for the Selphy CP1300, with the printer currently listed as on back order. It will be available in black and white color options from retailers and from Canon direct.